This recipe is my grandmother Stella's from 1978. It is one of the easiest recipes around. Not only is it simple, but it takes very little effort to prepare. 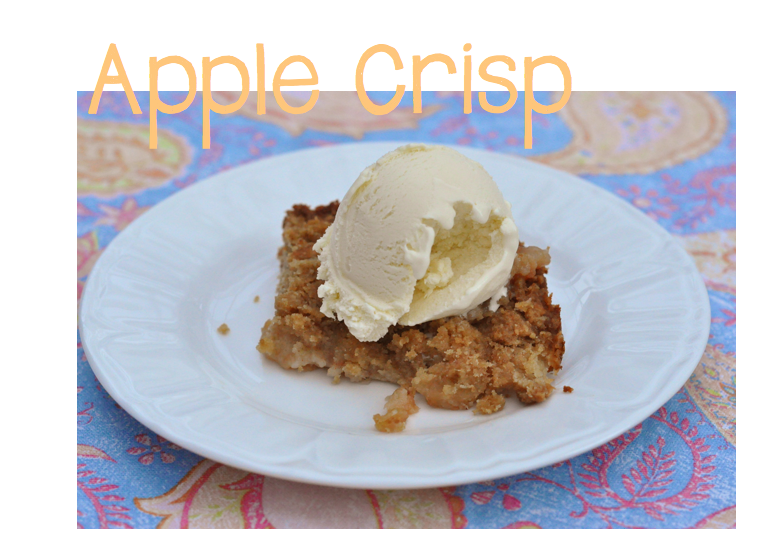 It is a basic flour and brown sugar crumble recipe, but adding would be great to. I used green apples picked from my grandparent's tree. I used the ones with bruises that were not as good to eat fresh. They were absolutely delicious. Set your oven to 350 degrees. Peel and slice your apples. Place them in a 9x13 pan. 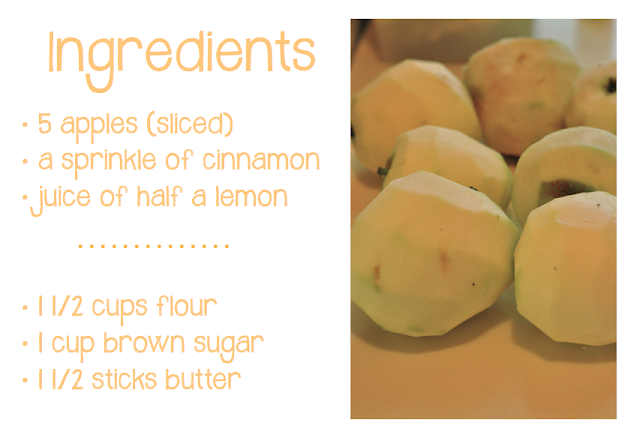 Sprinkle the cinnamon and lemon over the apples. In a medium bowl, cut the flour, brown sugar and butter with a pastry cutter, until crumbly. Pour this mixture evenly over the apples. Place in the oven and cook for about 40 minutes.